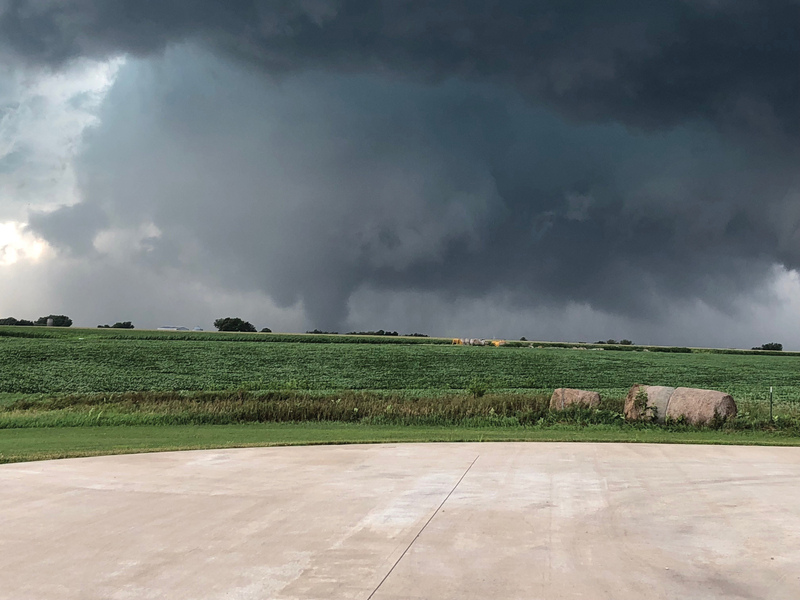 In July, a tornado destroyed part of Vermeer Corporation’s Iowa headquarters. Thanks to the family company’s astute safety practices, no one was seriously hurt. Because of values-based teamwork and dedication, everyone was back at work a month after the disaster. 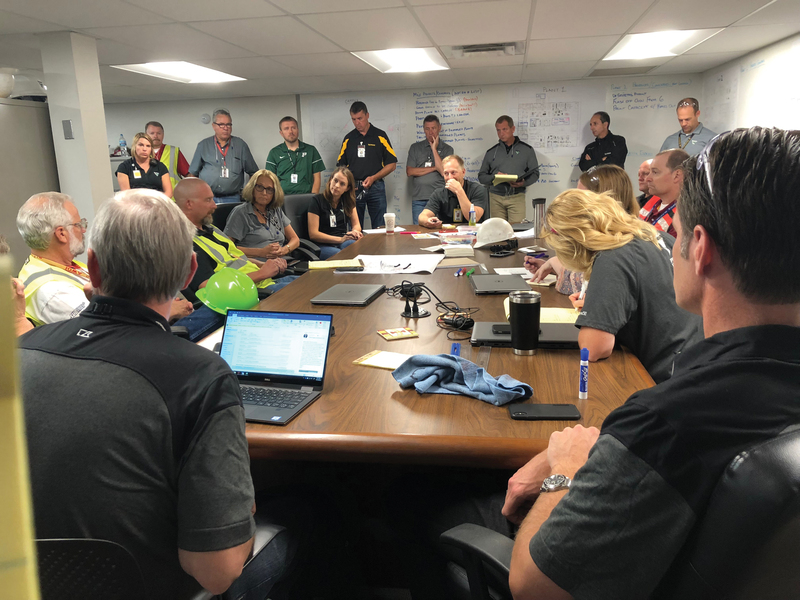 On Thursday, July 19, 2018, the family leaders of Vermeer Corporation shifted gears from marking the 70th anniversary of the business to managing a crisis after a tornado struck the company’s Pella, Iowa, headquarters. Vermeer makes construction, earth-moving and agricultural equipment, known in the industry as “yellow iron.” More than 400 dealers and customers from 13 countries were visiting the Vermeer campus for the company’s customer conference. Activities to commemorate the milestone were among the agenda items for the event. When the tornado struck, at about 4 p.m., Mary Andringa, a second-generation member of the Vermeer family who serves as chair of the board, was in the company’s Global Pavilion, an event space. She and her niece Allison Van Wyngarden were leading a breakout session for customers about governance and succession in family businesses. Mary’s son Jason Andringa, Vermeer president and CEO, had been hosting tours in the Vermeer Founders’ House, located across from the campus. The home of company founder Gary Vermeer and his wife, Matilda — where Mary and her siblings were raised — had been acquired by the company and formally dedicated as a museum three days earlier. When the storm warnings began, Jason took shelter in the corporate office space. Elsewhere on the campus, known as the “Vermeer Mile,” team members were at work — designing, producing and supporting Vermeer’s yellow iron equipment. More than 2,700 Vermeer team members are based in Pella. The tornado measured EF-3 on the Enhanced Fujita scale (136 to 165 mph). The damage to the Vermeer Mile was significant. Vermeer Plants 5 and 6, as well as the waste management facility, were a total loss. Plants 4 and 7 sustained less severe damage. Vehicles in the company parking lots were tossed about and piled up like unwanted toys. Mary remembers receiving a text alert toward the end of the session she and her niece were presenting. “I said, ‘OK, it looks like we may all have to go to shelters.’ ” Almost immediately after that, a “very annoying” alarm sounded loudly and repeatedly. At that point, “there was no question” that everyone would have to take shelter, Mary says. In the shelter, Mary found herself fielding questions about tornadoes from international customers, sometimes with the help of interpreters. “They said, ‘Is it like a hurricane? Is it like a typhoon?’ ” she recalls. At first, Vermeer staff tried to reassure customers that there was a slim chance the campus would be hit. Pastries were brought into the shelter, and coffee was available. “We were socializing,” Mary recalls, “and then the lights went out. “Shortly after the lights went out, we knew the tornado was really going to be close.” Suddenly they had a sensation of being “pulled out of the room.” People held onto each other for stability. In the building where Mary was sheltered, some windows and doors were broken, but there was no major damage. “And then we started getting texts from people that the roofs were off on a couple plants, and that a lot of glass was broken,” she says. They were still in the dark when the alarm stopped, signaling that they could leave the shelter. As the group congregated on the grassy area around the pavilion, they saw that emergency vehicles were already on campus. They also saw the devastation wrought by the tornado. “A lot of people just stepped up and started organizing,” Mary says. Plans were made to help customers leave campus and to provide transportation for those whose cars had been tossed about and smashed. 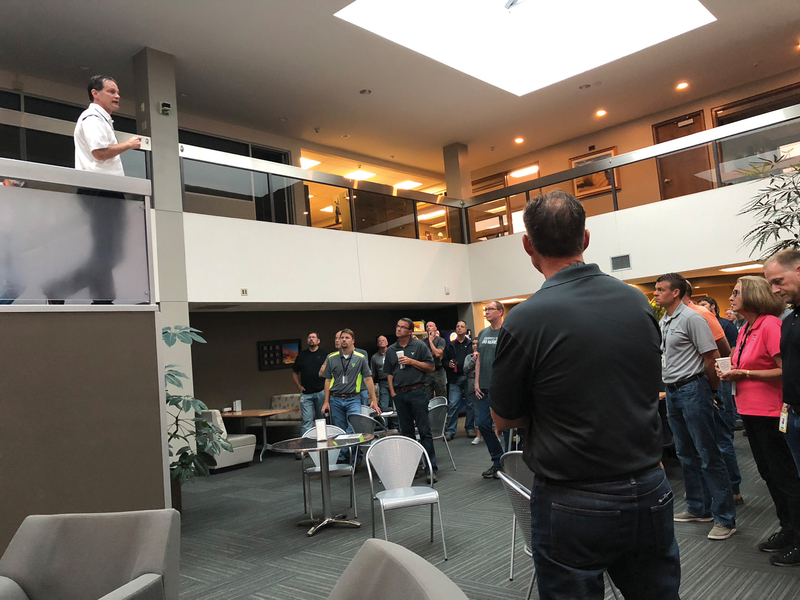 A core team, including Jason and key people from HR, operations, communications, and environmental health and safety, assembled to create a plan to contact all employees. “In some cases, we asked police to go to homes to make sure people were OK,” Mary says. Homeland Security dogs searched the campus to ensure no one had been trapped or killed. During the tornado, 130 children from the Yellow Iron Academy — a child care and early-learning center operated by a third party on the Vermeer campus — headed to a shelter along with their teachers. All the pupils, 60% of whom are the children of Vermeer employees, were safe. Vermeer turned to the media to disseminate safety messages in the immediate aftermath of the tornado and to declare the company’s plans to rebuild and return stronger than ever. Vermeer management began recovery efforts immediately. Company leaders quickly assumed crisis-management roles. The Vermeer response was in keeping with the philosophy and practices of lean manufacturing (a systematic method for working intelligently and eliminating waste) and continuous improvement, Mary says. “In a lean event, you understand the reality of the situation, and then you designate teams with leaders to go check on things to find out what the issues are, and that’s just what happened,” she explains. Vermeer adopted lean manufacturing under Mary’s leadership in 1998. 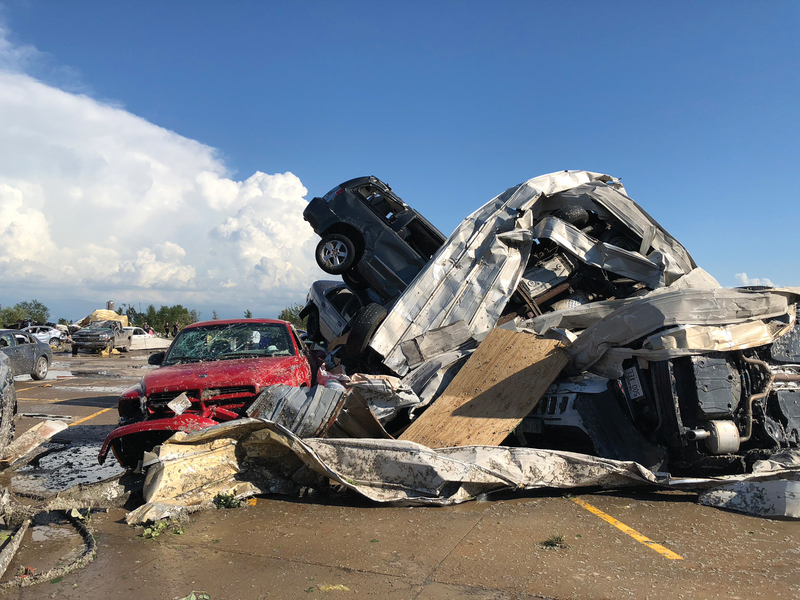 Despite the destruction wrought by the tornado on the Vermeer Mile, only “a small handful” of injuries were reported, according to Lt. Shane Cox, public information officer for the Pella Police Department. Seven people were transported to Pella Regional Health Center. All had minor injuries and were soon released. Several other people with minor wounds were treated at the scene by EMS personnel. The lack of serious injuries was likely attributable to “the quick acting of Vermeer as far as [activating] their emergency response [and quickly] getting team members to shelters within the buildings,” Cox told reporters. “I’m certainly glad that we have put the effort that we have into being prepared for something like this,” Jason said during his media appearance. Most of the core team worked until 1 a.m. on Friday, July 20, then went home to sleep and returned at 7 a.m.
Vermeer closed for business that Friday, so a team could assess the facilities with the aim of resuming production to the greatest extent possible the following Monday. Vermeer chaplains were placed on call to support team members. By Friday afternoon, the team had sketched out a plan for moving operations to alternative locations. People were dispatched to scout out off-campus space. By Saturday, July 21, recovery plans were well under way. Wrecked vehicles had been separated, moved and identified with a number and location so their owners could find and claim them and begin working with insurance companies. On Sunday, July 22, local shareholders were invited to visit the campus. “We had a little church service, and then we had a little tour, so they could see everything, in almost its worst state,” Mary said. Shareholders and members of the board of directors received updates on the recovery, along with videos and a map indicating the “red zone” — the damaged area where entry was restricted to those who had received safety training and were wearing safety equipment. Information was sent daily for two weeks via the Vermeer family’s Trusted Family secure online portal. The company, which dubbed its rebuilding effort “Vermeer Strong,” resumed operations as promised on July 23. In the first week, 77% of the team was working in permanent or temporary positions. Those whose job functions were out of commission were called in to help with the cleanup after receiving safety training. Mary credits the Vermeer HR team with identifying displaced employees’ skillsets and determining how they could be redeployed in support of the recovery efforts. Within a week, Plants 1, 2 and 3 were back online, shipping was under way in the Parts Center, and central receiving operations had begun to move from the totaled Plant 7 to the Global Pavilion. The company says its Parts Center delivered more parts in July than it had in June. By Week 2, 95% of the team was back to work. Plant 4 and some of Plant 7 were back up and running. “For two weeks, it was what we called a mile-long kaizen,” says Mary, using the Japanese term for continuous improvement or change for the better. Although many leaders and team members were working outside their usual functional areas, they identified what needed to be done and executed the tasks, she says. At first, the core leadership group met twice a day to assess how their projects were progressing and what additional help was needed. “That helped us to be able to call more people back,” Mary says. 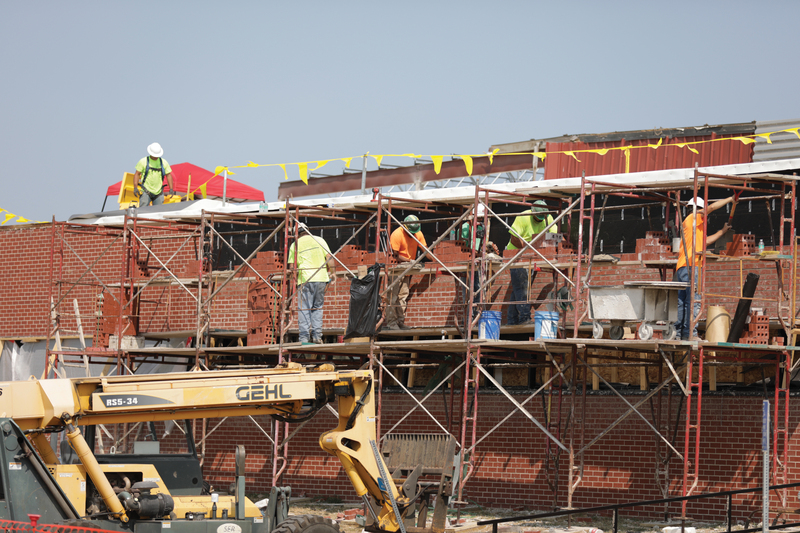 In Week 3, 99% of the Vermeer team was back at work, and construction had begun on the front offices in Plants 6 and 7. In Week 4, more operations resumed in Plant 7. “Our team has been rapidly shifting and moving production lines in smart, creative ways to deliver yellow iron to our customers and get our team back to work,” Jason said in a video message on Aug. 3. On Monday, Aug. 20, 100% of the Vermeer team was back at work. According to the company, sales volume in August 2018 was higher than it had been in August 2017. Mary says the company’s “4Ps” philosophy — People, Product, Profit and Principles — was in evidence throughout the tornado recovery. The 4Ps, representing the core values passed down from Gary Vermeer and his brother Harry, were coined as a result of a goal-setting exercise Mary and her brothers conducted in the 1980s. The second-generation members realized they needed a memorable way to communicate the company culture. When the tornado struck, Mary says, “The absolute first focus for everybody was our people — are our people safe? Then, how do we communicate effectively, so they know what’s going on? It was that strong focus on people, not thinking about, ‘What is this going to mean to our top line or bottom line?’ That was absolute, without anybody saying it. And that came from this 4P philosophy, that we’re going to try to manage by principles, which means we’re going to take care of our people. The company plans to build new facilities to replace the destroyed Plants 5 and 6. A new engineering facility is also in the planning stages. Vermeer engineers are now working in temporary quarters outside the Vermeer Mile; their former work area is being used for production. Their new site will be called Shop 48 in honor of the year 1948, when Gary Vermeer founded the company. “Shop” is a nod to where Gary tinkered with his first inventions and the Vermeer spirit of innovation got its start. Also in the planning stages is a documentary on the tornado and the recovery effort.